When the Oregon Trail emigrants saw Mount Hood, they did not have the same feelings as do their descendants today. 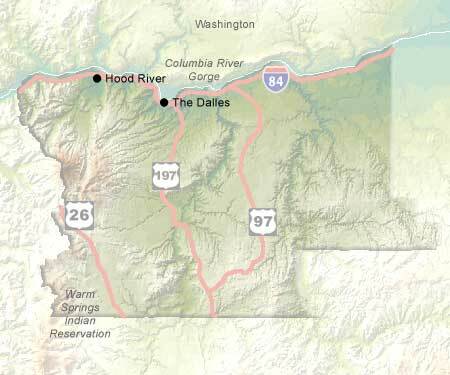 The mountain represented a choice, between risking the rapids and following the Columbia down the Gorge to Fort Vancouver, or challenging the mountain on the overland route by the Barlow Ranger District. Neither was safe or easy. Today, this region is the focus for a great deal of leisure and recreation. The Columbia Gorge has been declared a national scenic area and is managed for the enjoyment of the whole population. Mount Hood National Forest, although not actually a park, is in reality a center of recreation both in winter and summer.